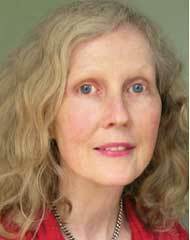 Margaret Bruce trained in Australia, the UK and China, focussing on womens health and female and male infertility. She has lectured at the University of Western Sydney to masters students in gynecology. Her work with infertility began in Hangzhou in 1986 and continued with Prof Xia Gui Cheng of Nanjiing TCM University, one of China’s leading specialists. Margaret has a long standing record of success with infertility whether the approach is one of integration of IVF and TCM or with TCM alone. She practices at PMC on Tuesday Thursday and Friday and at the Kuan Yin clinic at Potts Pt (02 9357 7290) on Wednesday and Saturday.